So you think dagga is legal? For now, despite THC being openly and glamorously advertised, its use remains illegal. “So you think dagga is legal?” asks Wedge Gardens Treatment Centre social worker Karen Griessel. She explains to Kempton Express that the medicinal and psycho-active effects that we associate with marijuana are caused by chemical structures called cannabinoids, which are found in the actual plant. The two main ones are tetrahydrocannabinol (THC) and cannabidiol (CBD), and while one can have helpful side effects, the other affects the mental processes of a user. 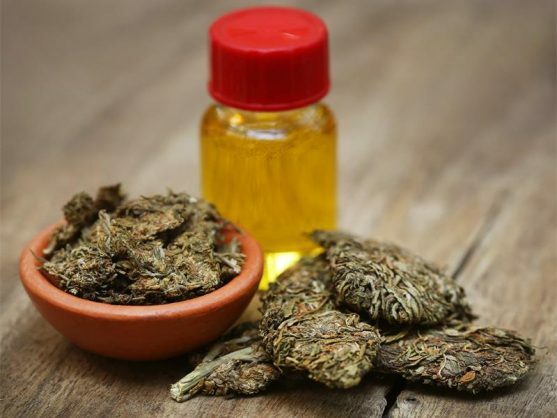 CBD is legal in South Africa and therefore many online sites openly market their medicinal dagga oils. “We picked up a pamphlet advertising a brand of cannabis oil. Pamphlets like these are readily available as sellers fight for market share. “At R1 800 for 15ml it is outrageously expensive. What is even more concerning, however, is that on this particular pamphlet, THC is also openly advertised as being available for sale. The reality is that THC will always be available on the black market, she says. As it is, the Medicine Act already makes provision for the use of cannabis for medical purposes. Cannabis is listed as a Schedule 7 substance, which makes possession of the plant illegal. However, all products imported and sold with claims relating to therapeutic effects are scheduled as Schedule 6 medicines. CBD or dagga oil is a Schedule 4 substance. This means that you can obtain the medicine with a prescription from a medical practitioner only. In addition, earlier this year, the Western Cape High Court declared certain sections of the Drugs and Drug Trafficking Act and the Medicines Act inconsistent and invalid with the Constitution. However, before this court decision takes effect, the Constitutional Court must confirm the declaration of invalidity. If confirmed, it will be suspended for some months to allow parliament to correct the defects as set out in the judgment. This means that once the suspension period has passed, cannabis may be used by an adult in private dwellings where the possession, purchase or cultivation of cannabis is for personal consumption by an adult. For now, despite THC being openly and glamorously advertised, its use remains illegal, cautions Karen.